If you’re not familiar with subscription boxes, here’s a quick run down. When you subscribe to a subscription box, every month (or sometimes every week or every quarter) you’ll receive a surprise box of products. What’s in your box will depend on the type of subscription box you choose – whether it’s clothes, beauty items, or in this case – CANDY! 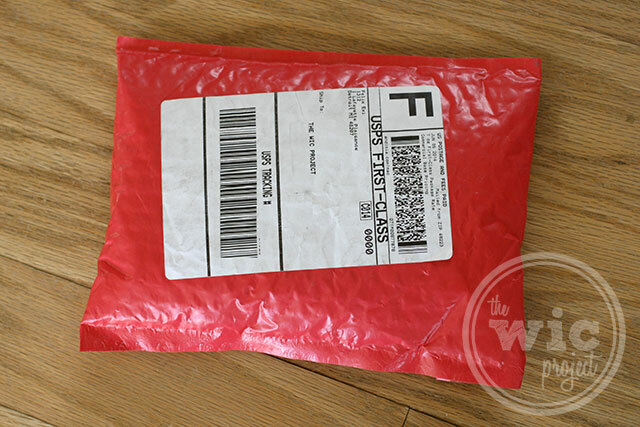 A few days prior to the delivery, we received an email from Bocandy with our tracking number and a little bit of information about all of the candies included in this month’s candy delivery. We don’t usually find out about what’s in a subscription box until it arrives, but in this case, knowing what was coming made it that much more exciting to finally receive our Bocandy subscription delivery. Our first Bocandy delivery arrived through USPS in a red bubble mailer. Opening the mailer and pouring candy out of it was just as fun as it sounds. Next, it was time to survey the candy that was in this month’s Bocandy subscription box. 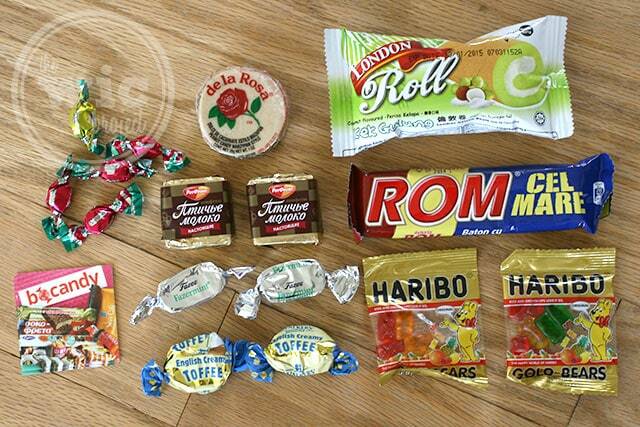 Do you see those tiny foil-wrapped, pink and yellow candies? I was SO excited to see these. I’d tried these Chipurnoi Glitterati candies in my younger years during a trip to Italy and loved them so much, that I took handfuls of them as I was leaving the restaurants I had dined in. I didn’t think I’d ever see or eat these fruit candies again once my stockpile had been depleted. I know many of you might recognize the familiar gold packaging of the Haribo Gold Bears, but what you might not know is these are from Germany! These are definitely my favorite gummy bears, so this candy was another hit for us. 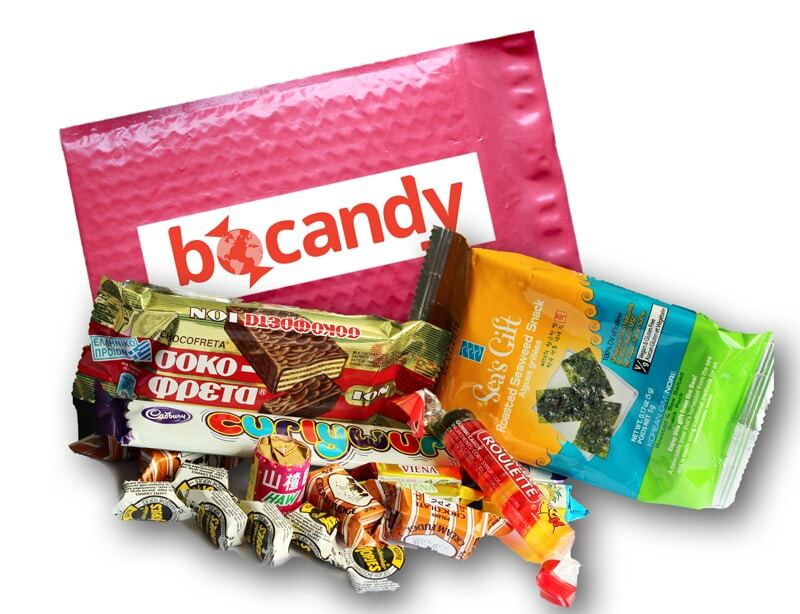 Do you want to give the Bocandy candy subscription box a try? How about try it for free? For a limited time, you can get a free Bocandy delivery – just pay $3.49 shipping. 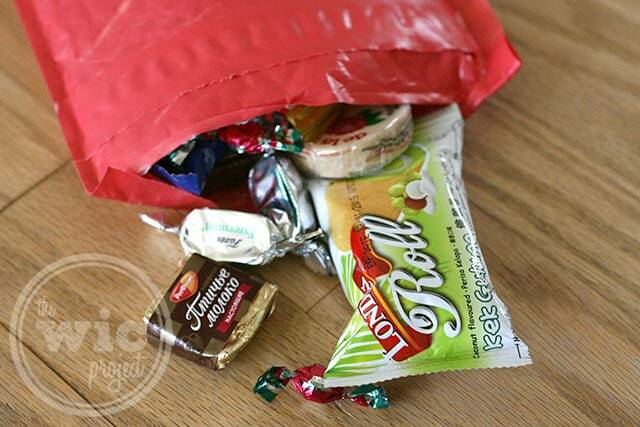 You can also check out other sweets and candy subscription boxes! Looks like a fun variety! My favorite candy is Lindt extra dark truffles. Anything with green tea/matcha – yumm! anything with refined sugar could qualify as my favorite! lately I’ve been eating a lot of twix. My favorite candy is chocolate with coffee in it.. Currently snacking on an Ecuadorian bar. So good! I have enjoyed your page. I love Starburst and skittles. My favorite candy is Reese’s! Thanks for sharing the deal for a free bocandy delivery. I just signed up! I love Lindt chocolate truffles!! My favorite candy is Godiva milk chocolate truffles. They’re insanely delicious. I love big hunk and anything with toffee. My favorite candy is black licorice. I love Reese’s peanut butter cups – they’re my favorite splurge! My favorite candy is Zero candy bars & almond M&Ms. Anything chocolate has my name on it. I like that this gives you a portion control taste of candy in the monthly subscription. I would have to say that peanut butter cups are my kryptonite. Ever since I was little, I’ve been addicted to them. Butterfinger is my favorite candy bar. Skittles too! This would be such a neat surprise in the mailbox! I love sour patch kids! My kid gets them at the movies and I end up mooching most of them! Candy delivered monthly? Sign me up! My first fav candy is sour bears. My favorite Candies are Hershey’s kisses. I also like M&M candies plain. My favorite is Hershey’s Special Dark chocolate bar. My favorite is a Grand candy bar. sixlets are my childhood fav! My favorite candy was Reese’s Cups,until I moved to Texas. Its too hot here and the heat dehydrates the peanut butter and you are left with milk chocolate covered peanut butter flavored chalk. i am a huge fan of aero bars from the uk. I like 3 Musketeers and Hershey’s Special Dark. I really like sour gummy worms! Hi! I love candy! My favorites are Reese’s Cups and Caramels. Thanks!! My favorite candy is peanut butter m&m’s. My favorite candy is basically anything with milk chocolate! My favorite is Heath Bar. My favorite candy is anything with Peanut butter or mint in it. I love Reeses Peanut butter cup the most. My favorite is white chocolate reese cups. Kit Kat…could eat one every day! I like Hershey’s Special Dark! I like 88% dark chocolate from endangered species. I love Smarties and Milk chocolate with almonds. I like to try green tea kit kat! 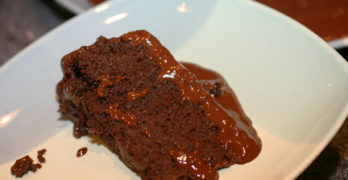 I like anything with chocolate. Reese’s peanut butter cups are my all time favorite. What don’t I love? but I really like tootsie rolls. I love ice cube chocolates. Reeces peanut butter cups are my favorite.